I’m too busy has been coming across my lips too often. Autumn’s spindly fingers reaching across pumpkin patches and shaking golden leaves from trees reminds me of how quickly this summer has passed. Time seemed to leap off the diving board sending a spray of seconds and minutes and hours that too soon evaporated off of my skin. 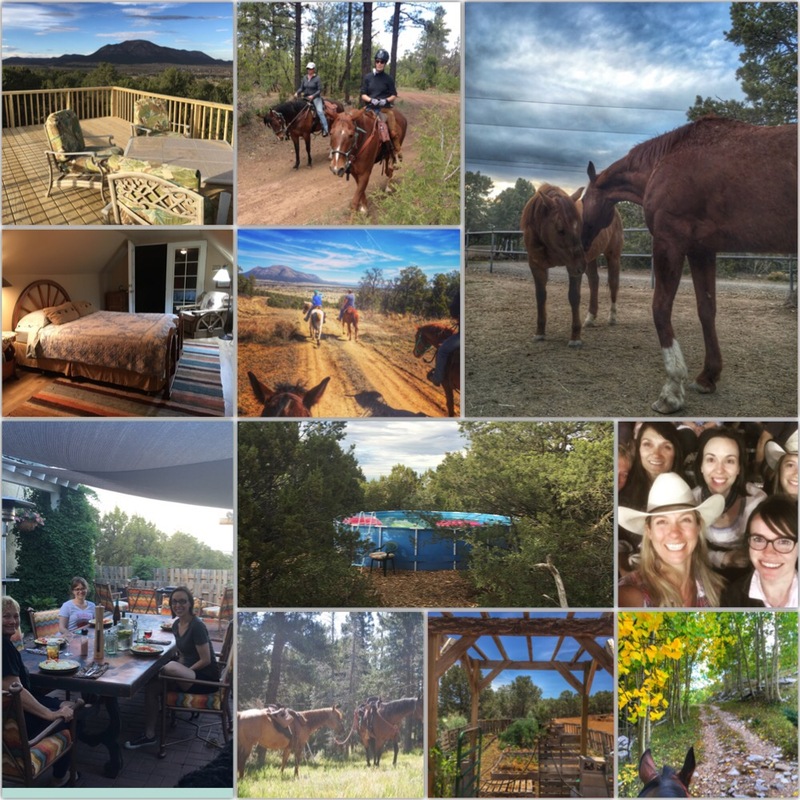 So much was accomplished this year at Enchantment Equitreks. We booked rides almost every month, our guest house was finally finished, the pool was installed, the tree lined deck was refinished, our herd welcomed their 9th member, a horse walker was built, the garden was seeded, weeded, plucked, and overgrown, fruit trees were planted, the chicken mansion was erected. Each project waited its turn, some were more urgent than others, but gosh it kept us busy. Maybe it’s winter’s breath on my shoulder or the recent loss of a friend that makes me want to be less busy. I look forward to sipping tea in the mornings and saying yes to dinner plans with forgotten friends. I want to send random notes and thoughts to loved ones so they know that I’m not too busy to think of them. Planning will be a luxury and spending hours at the barn futzing with horses a lifestyle. Staying busy is never the problem, there is always something to be mended or attended. I worry that I will be too busy when it is too late. So somewhere in between the purpose filled days of my summer and the hibernation of winter my busy schedule needs to find balance. I believe that emails can wait after long conversations with my horse and new projects can be paused for impromptu road trips. Too busy needs to be replaced with let me make the time.